Your 401(k) is the most important investment you own. View this to answer why it is your job to keep it protected. One of the most common investments where people don’t realize they are being financially underserved is their 401(k) plan. Let the experts at Palen Financial look through your finances to ensure that you are not being underserved. Securing the future for you and your loved ones is one of the most difficult financial paths to navigate. The traditional employee pension plan is all but a memory, and modern retirement savings plans are usually based around investing money rather than simply saving money. Most people have an employer-sponsored 401(k) plan, but are not maximizing its potential or worse, putting themselves at risk to lose money. However, with proper 401(k) planning advice from a qualified retirement planner, you can ensure your golden years are free from monetary peril. Palen Financial is that qualified financial planner that will help safeguard your investment for the future. A 401(k) plan has many possible benefits to you. Most employers offer to “match your contribution,” meaning they essentially double your monthly 401(k) deposit (up to a certain dollar amount or percentage of your salary). Secondly, you have the ability to choose how your money is invested through the sponsored mutual fund, giving you control and visibility over your savings. Finally, even if you leave the company early, you can roll your 401(k) savings over into a traditional or Roth IRA. 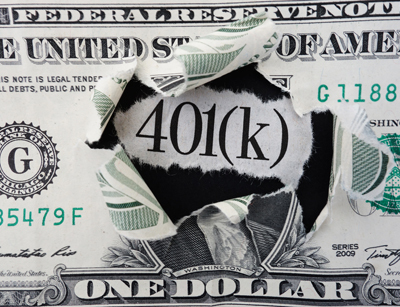 Unfortunately, there are unseen issues that can arise with a 401(k). Click here to learn more: Are 401(k) Fees Making Companies Richer at the Expense of Workers? As with all investment planning, you must keep track of market trends, and be prudent with the way your money is invested. Also, be sure to know how much money you can invest in your plan annually, as well as the tax penalties for withdrawing any money early. One of the most troubling things people don’t know about their 401(k) plan are the fees assessed by the plan provider. While some might claim to offer their plan for free or at low cost to the investor, most of them have fees associated with the management of the plan that aren’t explicitly disclosed. In 2006, Forbes reported that 401(k) plan providers charged $29 billion worth of costs and fees against $2.9 trillion in investor savings. Find out the truth about the fees associate with your 401(k) plan by clicking here! Our main goal at Palen Financial is to ensure your financial livelihood, both now and in the future. We are an experienced and licensed registered investment advisor and we are independent from a corporation or chain. That means we’re not trying to sell you any products or services. Palen Financial’s only motivation is to make sure you are getting the most out of your 401(k), so your retirement can be peaceful and worry-free. Let us guide you in managing your 401(k) plan! Contact Palen Financial today! Here are some more articles that might help you decide. When you are ready to start planning your retirement, call Palen Financial.